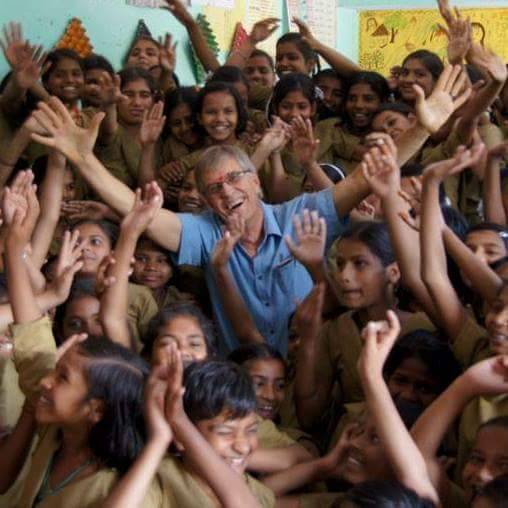 Remco Van Santen is the mentor & inspiration behind csDishaa Foundation he has been the ideal person to whom we look up to with pride and gratitude for ignited the ‘Flame of Cleanliness’ in our hearts & minds. Remco Van Santen is the former Director of a consultancy to chemical industry Chemlink Pvt Lltd. He has degrees in science and economics, and a masters degree in Business Administration. Through his consultancy he has worked for the State and Federal Governments, transnationals and Asian countries. He has chaired conferences and has been a keynote speaker in Australia and Asia. A Fellow of the Royal Australian Chemical Institute, Chair of their Industrial Chemistry Division, Fellow as Australian Institute of Company Directors, he is also on boards and committees of the industry. In more recent years he has trained and practised as a Personal Development Coach. Today he is passionately committed to the young people who he sees as having the potential to correct the problems in the environment and live in a more satisfying way. He says, “We oldies have created the problems, it is the younger generation with the passion that can be the change we want”. He started the My Clean concept after a visit to the hill station, Nainital in Uttarakhand, where he was disappointed to see people pointing at others as the reason for the litter and neglect. Today, as a result of that one week visit in 2007, Nainital has a solid waste program, is cleaner and groups of women volunteers keep the spirit alive. He would have stopped there if he had not been approached by a group of senior students who requested permission from him, as a foreigner, to take charge of the main road in Nainital and ensure it is kept clean. Touched by their passion and sensing their frustration, Remco committed to the My Clean campaign and today he spends time to support others achieve his vision of a Prosperous and Beautiful Environment through real community spirit. While addressing schools, he hopes the students will graduate feeling proud of their school and for the teachers to feel that My Clean represents important leadership training without adding to their workload or distracting from the important core scholastic education. He has addressed more than one hundred schools with requests to return. Remco is inspired by people like Gandhiji, Swami Vivekananda and JD Krishnamurti and feels India can be a role model for the world to see what is possible by building real community spirit.